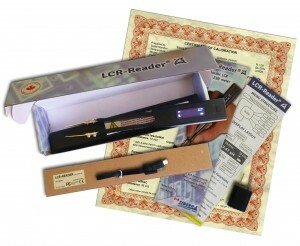 LCR-Reader Pro and LCR-Reader Pro Plus: These are LCR-Reader Task Kits that include an LCR-Reader device with calibration certificate and accessories (battery, Kelvin Probe Connector Kit, spare tips, charger. Note: accessories depending on task kit selected). Smart Tweezers with Bluetooth is able to connect to PC (ie: NI Labview, Tera Term, etc), Android and iOS to send and receive measurement data over a real-time connection. When connected, users are sent a comma separated string of values representing the outcomes, including the type of component, main and secondary values, and test parameters used. The ability to record all measurement data is invaluable for incoming quality control. The newest update to the device allows users to send information to the Smart Tweezers device and the ability to set parameters that components must meet. This is done by the user creating a profile in the receiving software. When testing, the component must meet this criteria before being granted a pass or fail by the software. LCR-Reader/Smart Tweezers Kelvin Probe Connector: The LCR-Reader Kelvin Probe Connector is a shielded two-wire device that can be used as a full probe station. When connected, the LCR-Reader or Smart Tweezers can measure components that are larger than the tweezers’ gap. It is easy to connect to the device, simply remove one of the gold-plated tweezer tips and replace with the flat connector. All extension accessories screw into the other end. The two-wire connection eliminates additional offsets. Note: can be used with LCR-Reader, LCR-Reader-MP, Smart Tweezers and LCR-Reader Colibri. Siborg also offers Task Kits that combine a device with accessories; when purchased, the task kits give a greater discount than buying a device and each accessory separately. Siborg worked with the Institute of Automation and Electrometry at the Russian Academy of Sciences in creating a new calibration fixture for the newer models of Smart Tweezers and LCR-Reader. The previous fixture was unable to handle the full measurement range of the devices. After completion, Siborg sent the calibration fixture to one of Canada’s leading calibration houses for verification. With this verfication, Siborg was able to begin issuing NIST Traceable Calibration Certificates for LCR-Reader; the ability to periodically calibrated LCR-Reader was an issue with professionals that require their test equipment annually. Now, Siborg is offering certificates with every LCR-Reader in the LCR-Reader Store. Siborg has also added the LCR-Reader Professional to their growing list of task kits. The LCR-Reader Professional comes with a pre-calibrated device, calibration certificate, spare bent probes, an extra battery and charger. 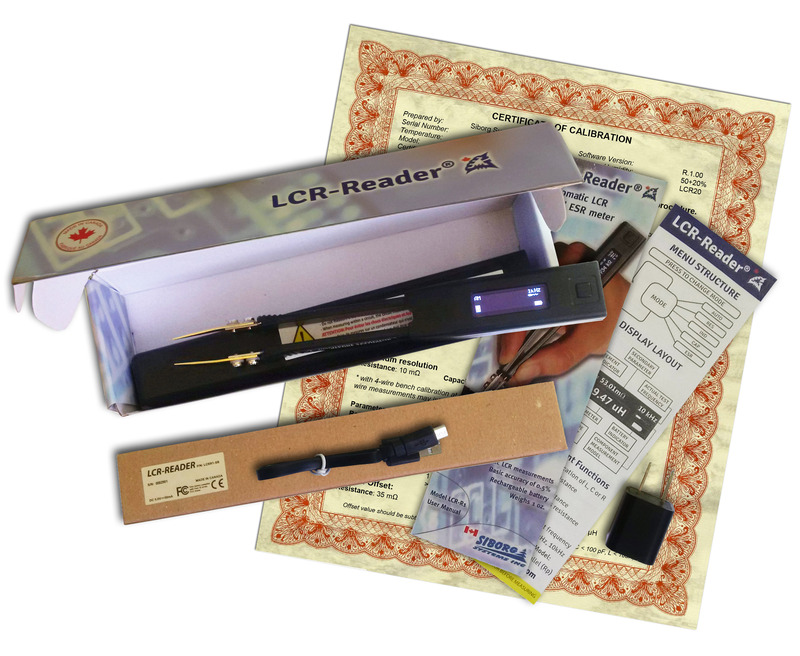 The LCR-Reader Store has lots to offer for customers; LCR-Reader and Smart Tweezers task kits: pre-bundled devices and accessories that offer customers a deal compared to buying each piece separately. LCR-Reader Probe Connector: Turn LCR-Reader and Smart Tweezers into a probe station for complete PCB probing; also allows the device to measure components that will not fit between the tweezers’ tips. The newest product in Siborg’s lineup is the Smart Tweezers ST5S-BT that instantly records measurement results over Bluetooth connection. See more about Smart Tweezers ST5S-BT. Copyright © 2019 Smart Tweezers LCR-Reader. All rights reserved.